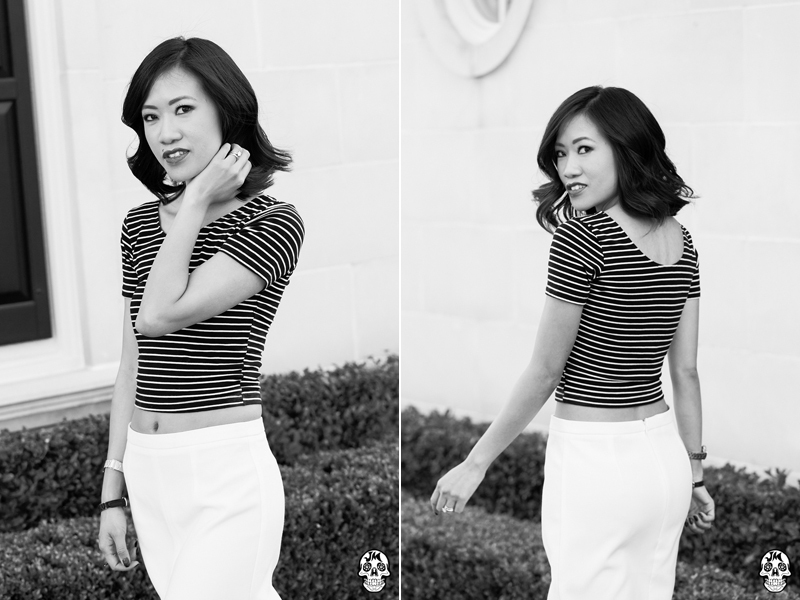 continuing with the whole black/white theme for this shoot - just changed to a crop top from the sweater from this post, and totally new look! good 'nuff for walking down the streets of Paris. oui? and just to say i LOVE this skirt. that middle slit. so good. I love the simple yet chicness of this look! I love the crop top, you look stunning. So gorgeous, love the simplicity! great outfit! adore your prada's the heel is amazing! Love the stripes totally !! Great look! And your shoes are to die for!!! You look super stunning! Loving the outfit! Loving the black and white. Totally adore the blog! Thanks for visiting and commenting on mine! Crop top is adorable! I have been seeing these trend at work but I had a hard time imagining it on someone! You make it look adorable! You look amazing the pics are so stunning. o my gosh, i LOVE this outfit. it totally reminds me of the old black and white movies. the fabulous early hollywood life! I love your outfit and your pictures! Black and white is so classic! You look like a total siren, Issa. <3 Now go to Paris and make all the girls jealz. loving those shoes!! also love the drama of the b/w/ photos!